The simplest way to build walk through gates is to begin with a panel of the same material as your fence. They are readily available, come in almost any style and already have pickets and horizontal cross braces cut and fastened together. After choosing the right panel to fit your fence there are two important factors in a successful gate: getting it square and keeping it square. The first can be addressed by properly installing your posts. The second is best served by adding a gate anti-sag kit in the construction process, rather than as a repair six months later. Use treated 4-by-4 treated lumber for your gate posts. Dig a post hole for each side post. Space them 42 1/2-inches apart, or 46 inches from the center of the left post to the center of the right. Dig the holes 10- to12-inches across and 24-inches deep. Set a post in each hole. Add 1/2 bag of concrete mix to each hole. Add water and mix the concrete in the hole. Stand the hinge side post upright and level it front-to-back and side-to-side. Back-fill the top of the hole with dirt, over the wet concrete, and pack it in firmly to hold the post upright as the concrete hardens. Measure from this properly aligned post to the latch side post at the top and bottom. Check the latch side post for level front to back and back-fill the hole, packing it tightly. Brace the post with a 2-by-4 screwed to the tops of both posts to maintain spacing. Allow the concrete to set for twenty-four hours. Measure the gate panel horizontally and mark it to cut from top to bottom, 42 inches wide. Mark the panel with a chalk line and make the cut with a circular saw. Lay the gate face down on a pair of saw horses. Install a gate anti-sag kit. These vary from brand to brand; in general they consist of two metal corner brackets, a pair of cables with clips and a turnbuckle. Install the first bracket on the outside top corner of the top horizontal rail on the hinge side of the gate using the provided screws that came with your kit. Install the remaining bracket on the lower outside corner of the lower horizontal rail with the provided screws. Attach the cables at each bracket and to the ends of the turnbuckle, which will now be in the center of the gate. Tighten the turnbuckle until it is snug; do not over-tighten. Measure from the top right of your gate panel diagonally to the bottom left and from the top left to the bottom right. The two measurements should match. If they are more than 1/8 inch off, tighten or loosen the turnbuckle until they match. Turn the gate over and add one 1 5/8-inch screw through each picket into each horizontal rail to stabilize the gate. Position the hinges on the face of the gate, centered on the horizontal rails at top and bottom, with the hinge pin centered on the edge of the gate. Mark the screw holes on the gate face and drill a bolt hole on each mark. Match the thickness of your bit to the thickness of the bolts that came with your hinges. Install one bolt through each hole in each hinge, and through the holes in the gate rails. 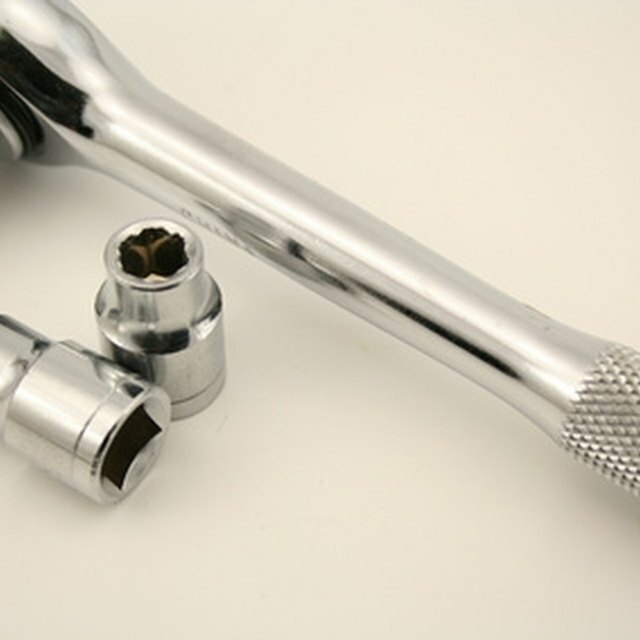 Add a nut and washer on the back side to each bolt and tighten with a socket wrench. Place a 1-by-4 on the ground between the posts, stand the gate on this, against the hinge side post. Position the hinges on the face of the post. Mark and drill holes and bolt the hinges through the post as you did on the gate. Install the gate half of the latch first, centering it in the middle horizontal rail of your gate. Close the gate against the latch post and mark the center of the gate latch bolt. Install the post half of the latch centered on this mark. Use the hardware that came with your latch to attach it at the gate and post. Follow the included directions for more specific information. Use one screw in each hole in the brackets for best results. Remove the 2-by-4 from the post tops and test the gate, making adjustments to the turnbuckle as needed.